The customer service industry has evolved beyond all recognition. Days of manual phone management and scripted responses have gone and been replaced by cutting-edge technology and detailed, interaction-specific information. But, while the explosion in chatbots, real-time management tools and social media monitoring have all but turned this industry on its head, there is one element that has remained consistent when it comes to helping customer service teams go from good to great. When it comes to delivering service excellence, there are a multitude of elements to consider; from contact centre to in-store or on the web. But it is vital to understand whether the basic operational performance is up to scratch in terms of how customer service is run internally. Only then can customer feedback be used to improve performance levels. The best tool for making sure this happens at the right level is robust and reliable benchmarking analysis. Benchmarking helps prioritise the right areas for improvement, focusing on those generating the most ‘bang for buck’. It also makes sure targets are aligned with comparable industry top performers, while at the same time providing valuable ammunition to request additional budget to implement any changes the management team believe are needed. Our research found that companies who performance benchmark continuously (at least every other year), run significantly more cost-efficient operations and thus have more time, resources and money to deliver great customer service. But how do you reach best in class or know when you’ve got there? This comes from comparing your own performance metrics and customer satisfaction results to those of peers and other centres. Without data or substance, It is easy to misjudge our own performance and think that it is worse (or better, in some instances), than it actually is. Benchmarking against companies in the same sector is the obvious parallel – they have the same challenges and, when it comes to productivity metrics, only a like for like comparison is suitable. However, a cross sector average is also important, particularly for quality metrics. For example, not many bank customers call other banks than their own, but they will call other service centres, such as telecoms and utilities, which is where they will form their overall opinion on what good customer service is. 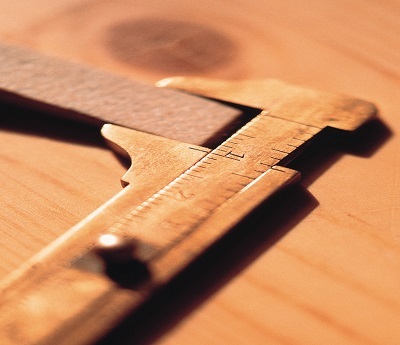 Benchmarking must follow a few simple but important rules. Rigorous quality assurance of the data must be in place. There must be a uniform approach to calculating KPIs in order to establish a similar comparisons. Looking at something like cost per call for instance, some centres measure salaries only, while others add on rent, IT costs, refreshments, training and recruiting. The same applies to first contact resolution, absence, training – the list goes on. The exercise must cover relevant areas and show how they are linked while the number of participants has to be large enough. For efficiency metrics it is also important to be benchmarked against peers handling the same type of contacts as yourselves. If competitors are of a different size or have different opening hours, this needs to be factored in as well as it all makes a difference in the end. Once in possession of the data, the next step is to use it to gradually improve every element of the customer experience – starting with internal teams. Over the last decade, the customer service industry has experienced extreme changes in attitudes towards its staff. We now see a more stable focus on both people metrics such as number of training days, advisor versus team leader ratio to name but a few, as well as an increased interest in employee engagement and customer satisfaction scores. This is because companies are starting to realise that staff engagement drives both customer satisfaction and productivity. A positive and proactive advisor will take new targets on board and try to reach them, have less absence, solve problems themselves and in turn increase first contact resolution and have a positive impact on contact centre performance. It’s a virtuous circle, but only if these employees are given the mandate to be a proactive problem solver, which is often not the case. A high level of staff engagement is imperative to get anywhere near best in class performance. However, it is one of the more difficult challenges to overcome because it often involves changing company culture, which can take a long time to achieve. There is no silver bullet for achieving world class customer experience but understanding your own performance, how it compares to the wider industry and basing business-critical internal decisions data will help. Customer service has come on leaps and bounds in recent years but now is not the time for it to rest on its laurels. Teams up and down the country must implement performance benchmarking to significantly speed up their journey to best in class.